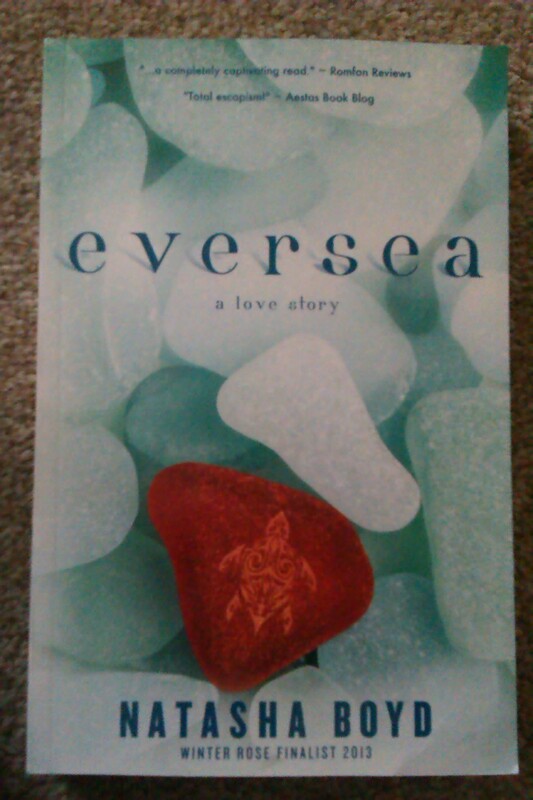 Well, I read book 1, Eversea, back when I went on holiday last month and fell in love with Jack Eversea. In this, we see the lengths he goes to to make it right for the girl he loves, Keri Ann, and so she isn’t dragged into the backstabbing world that he’s grown weary of. And if possible I fell even harder for him. But in the five months he’s been gone from her life, Keri Ann, has tried to move on and he’s got a job on his hands getting back in her good books. I didn’t blame Keri Anne for not taking him back instantly after what happened at the end of Eversea, but at the same time I was willing them almost desperately to get back together because they are one hell of a good couple. Audrey annoyed the hell out of me again. I wasn’t a fan in the first and she angered me more in this one. How desperate can you be not to ruin your image to threaten a girl you’ve never really taken the time to know or talk to? She hacked me off big time at the beginning; I could have smacked her and at the end, too. The life of a celebrity never does run smooth. 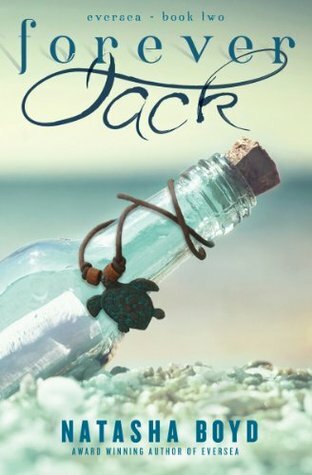 I loved Eversea but there’s something about Forever, Jack…there’s so much more emotion in it and I was sucked in whole-heartedly. 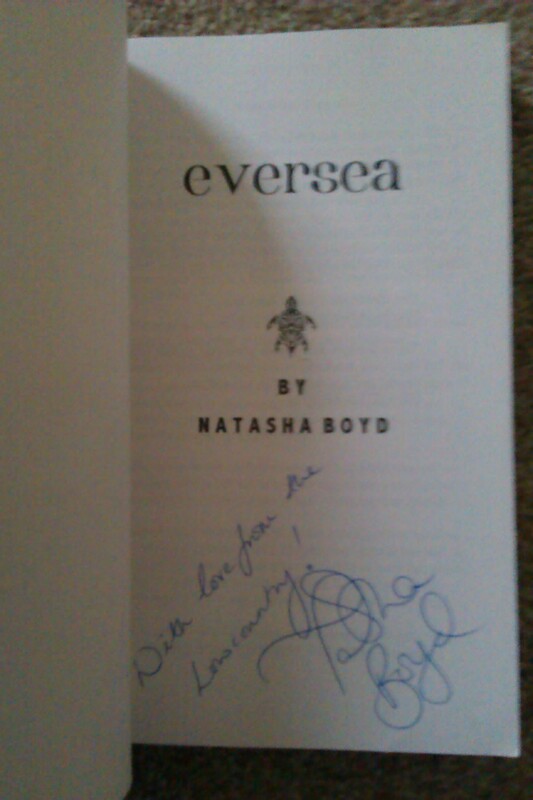 I am now a die-hard fan of Natasha Boyd and look forward to reading future books. 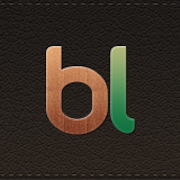 …what books to take. And here they are! So these are the four lucky books I’ve chosen to take away with me. 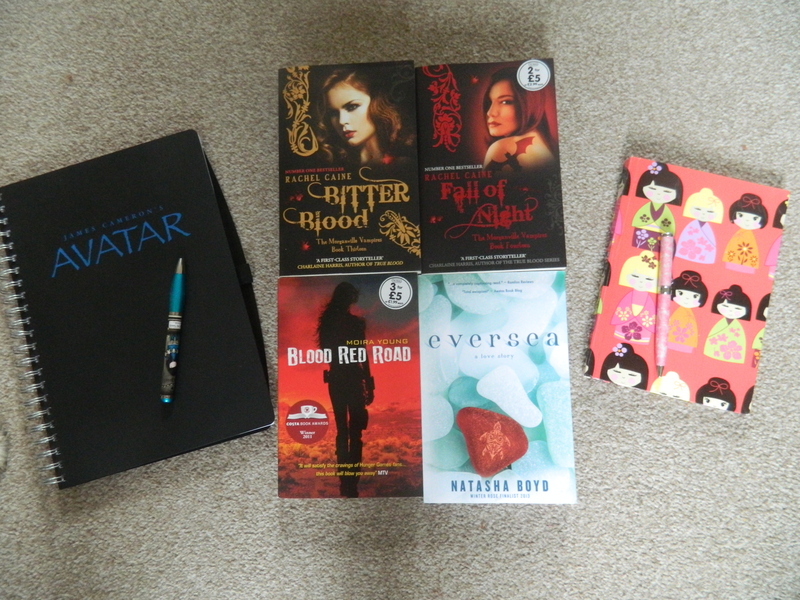 I always seem to do better reading the Morganville Vampire series when I’m abroad so books 13, Bitter Blood, and 14, Fall of Night, are coming with me. Then Blood Red Road is coming because I quite like a dystopia novel every now and then and finally my signed copy of Eversea just to add a bit of none paranormal/sci-fi to the mix. I’ll also be taking my notebooks with me, because with no laptop, that’s where my writing happens and hopefully San Francisco will give me plenty of ideas/inspiration for me to get on with books 0.5 and 3 in my Shifter Romance Novella series. Two books, I’ve been dying to come for the past week have come! 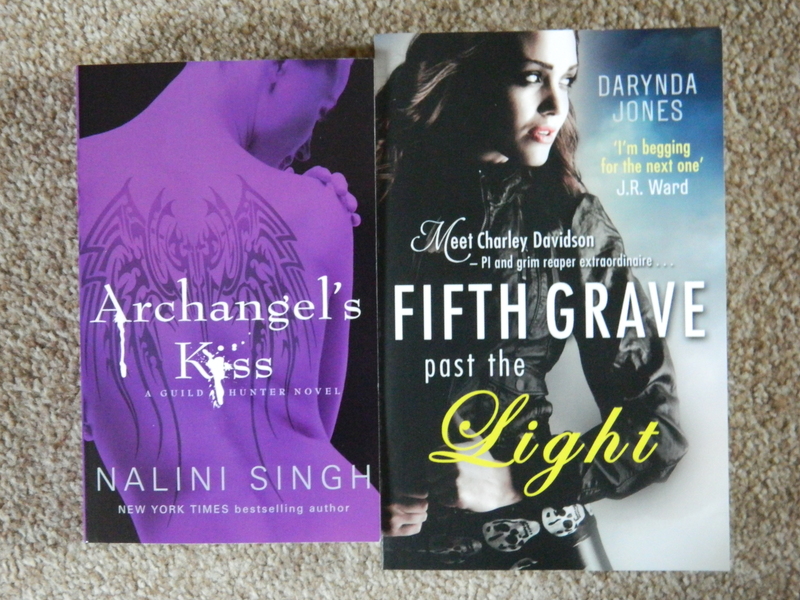 You already know I love Darynda Jones’ Charley Davidson series, so the fifth book from The Works for £1.99?!?! Hell yes!! I also recently read the first book in the Guild Hunter series by Nalini Singh and fell in love, also from The Works (that shop is a God send!) but unfortunately they didn’t have the second book in the store so ordered it offline and it came today. I am in book heaven at the minute. I just need to hurry up and finish If I Die by Rachel Vincent before I can devour these two books.